Now if you’re a programmer or if you know one—you could quickly mock up a minimum viable product and try your luck in the field of app billionaires. But what do you do when you don’t know how to code and you don’t have the funds to hire one? Do you just let the idea get buried in the graveyard of dreams? Well you don’t have to. Here are a bunch of platforms that you can use to build your revolutionary app. 57square is a Malaysian platform that helps small businesses build simple apps for their businesses. It’s a complete drag-and-drop platform that allows you to combine different components to build an app that your customers would enjoy. The platform even has features to link your social media profiles to the app and you can quickly scale up in development by adding in locations, video content, and better understand your customers by monitoring their usage through statistics. This platform is primarily geared for businesses and it has a list of powerful features (check them out here). You can sign up for free and once you do, you can start building your app by adding different pages and editing the layout. The Free Trial ends after 7 days after which you need to subscribe to the platform thereafter. When you want to publish your app, you don’t need to worry about the rules and regulations of each App Store, you can count on 57square to handle it for you. 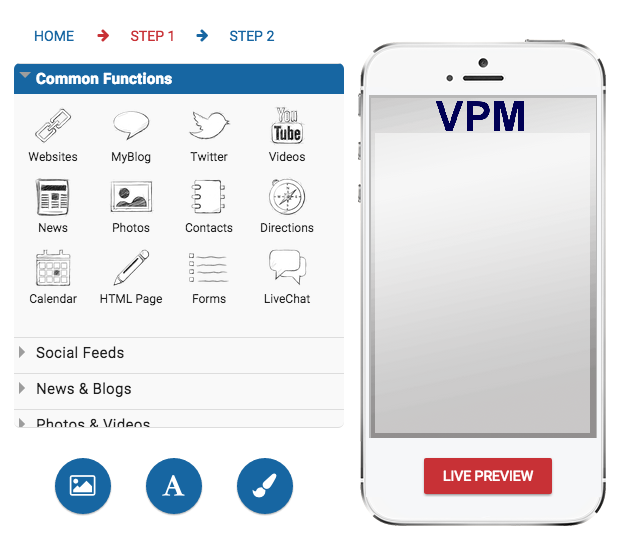 AppMachine is another platform that lets you scan your website and use the existing content on your site as a springboard to build your own iOS, Android and Windows Phone 8 app. If you’re feeling more adventurous, you could start building entirely from scratch. You also get to customise your app with their design features and build your app with over 35 pre-coded building blocks provided by the platform. You can build the app for free and once you’re interested in publishing you have to select an appropriate pricing plan from here. 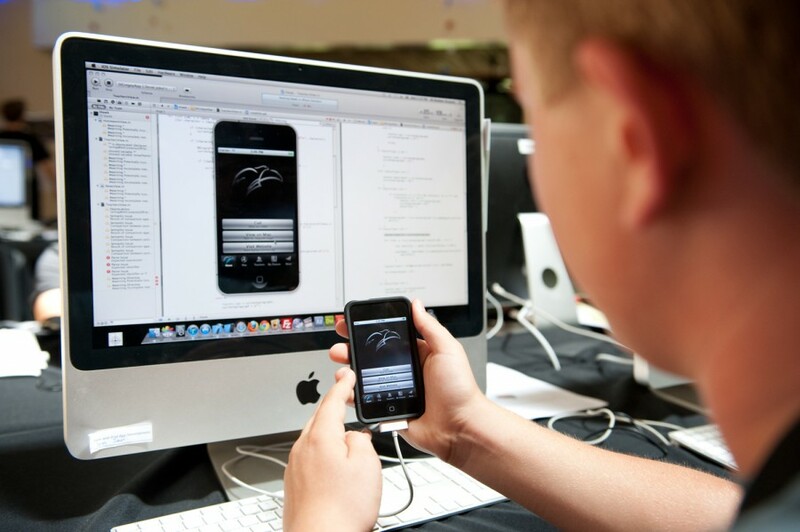 The process to create an app if you have an existing website is very quick. You enter the url and then the platform will crawl the web for content and once it grabs enough content you can add link up your Facebook page, RSS feeds and within minutes it will mock up a sample app that you can then edit as you’d like. 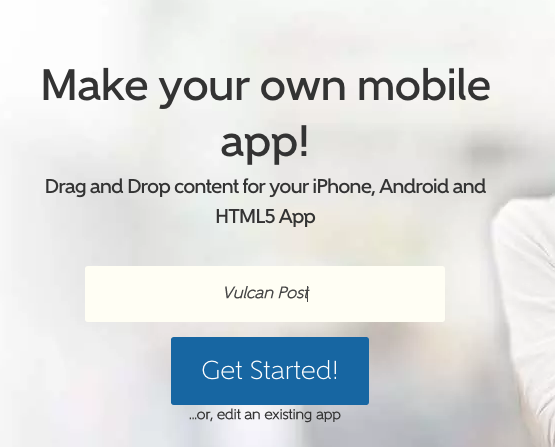 You can drag and drop content for your iPhone, Android or an HTML5 App through this platform. You can start a new project under a few minutes and then you’re free to add functions from the platforms palette. Once you’re done building your app, you can publish it for just a $1. However when you do publish the app it will carry the platforms branding, you have to pay more to publish the app under your own brand. The platform has been used to build over 2 million apps and they claim that thousands of other apps are created everyday. The platform also provides you with the ability to monetise the app that you create and you can analyse the way your customers interact with the app. If you’re looking to build an app that integrates with your blog, Instagram and one with the capability of push notifications, then you don’t have to look no further than Appy Pie. The platform makes building apps on the platform as easy as “pie”, in fact you can do it in 3 steps. 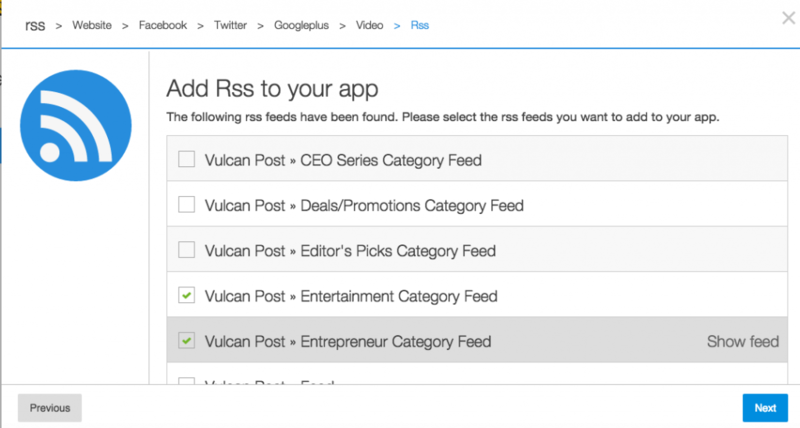 You can select the category, build the app and then you can publish and promote your app. 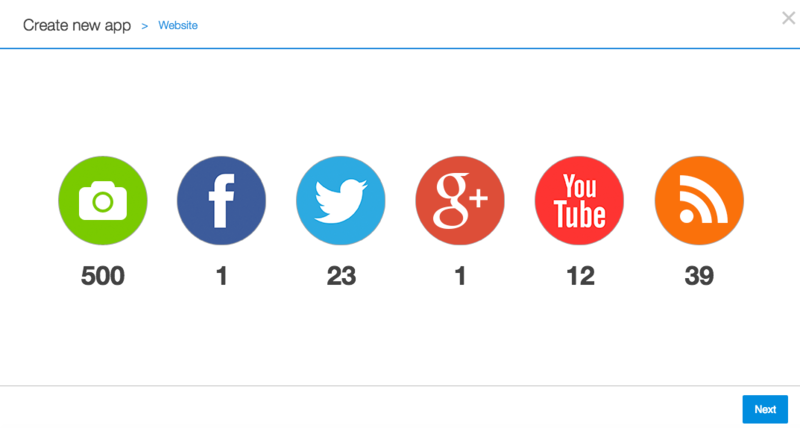 The top categories on the platform are the church, radio, restaurant, business, veterinary and real estate based apps. You can use the platform to build an app that allows you to host your own Internet radio app with ShoutCast and Ice Cast or even make payments using Paypal. This is a cloud-based DIY Mobile App Builder; therefore you don’t have to install or download anything. You can use the drag and drop engine to create apps for Windows Phone 8, Android or iOS and you can proceed publish it on the respective app stores. GoodBarber.com lets you build native apps on the platform and they also offer an HTML5 web app option that can run on the mobile browser of any device. You can test out the platform on a 30 day free trial and once you finish building, you can publish it on the respective stores of the platforms but before you do so, you need to get yourself an active subscription on the platform. GoodBarber is more design oriented than the other platforms in that you first design your app, add your content, test out the app and then you can publish your app. 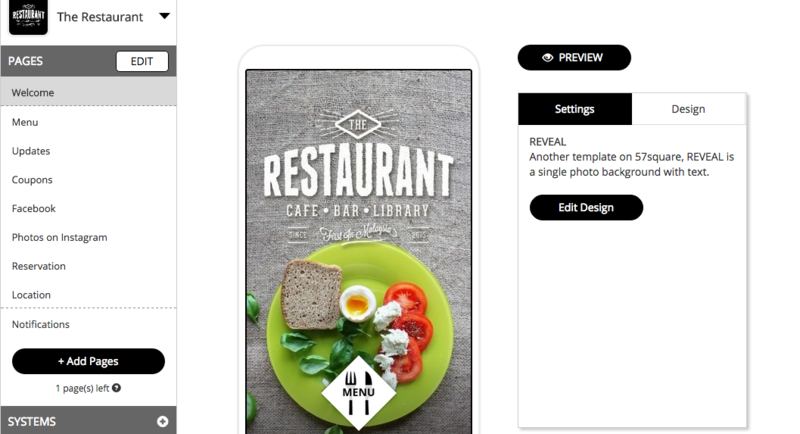 The platform also provides you with various templates that you can use to be inspired by before you start creating your app. The platform’s templates ensures that your app will have the best user experience and the content that you’d like to add to the platform will be displayed perfectly on your mobile device. There are countless numbers of platforms that allow you to build apps on the Internet. However, based on the platforms that are presented in this list, I personally like GoodBarber. It’s a platform that allows you to focus on the user experience and the user interface of the app, which essentially could be the criteria that makes or breaks your app. That being said, there’s a limitation to all of these platforms and that is you can’t customise your app and build completely customised apps—you need to have some knowledge of coding for that. So if you’d like to be the next Mark Zuckerberg then you should just learn how to code and avoid taking any shortcuts; but since we all can’t be Mark Zuckerberg, these 5 platforms might just be our next best shot.